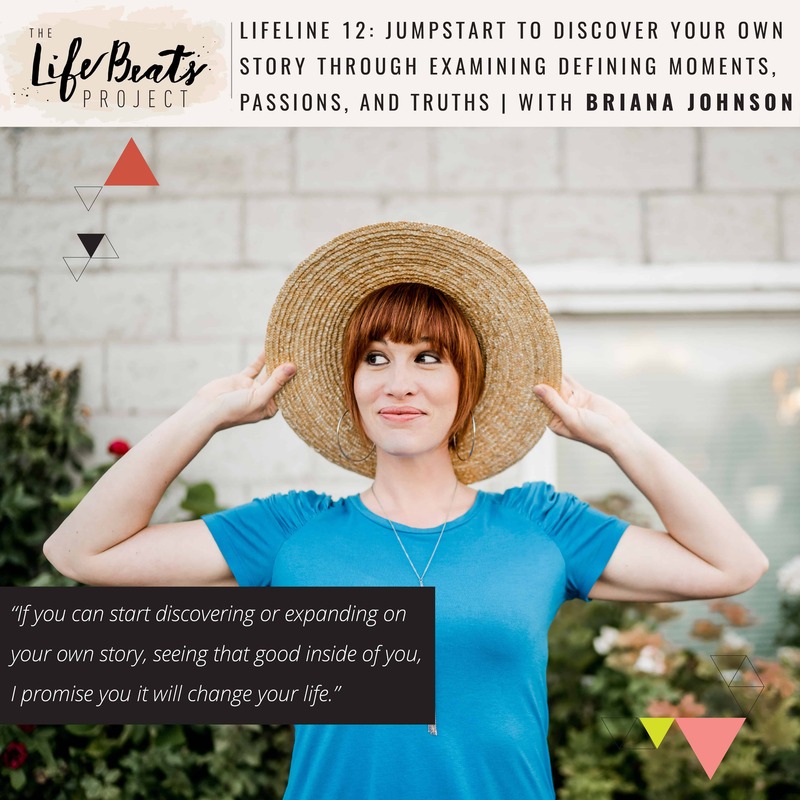 On today’s LifeLine podcast episode I guide you through a series of 3 prompts to help you begin or expand on discovering our own story. I invite you to extract and deconstruct it by examining a defining moment, what you are passionate about, and sort through your truths. We discuss whether you are allowing others’ stories to inspire you or make you feel worse about yourself as well as some invitations and cautions for beginning your own story discovery. I also share more about my upcoming 14 Day booster course Project Wax On, Shine On if you are looking for some support in this process, if you want to dive in deeper with me, if you are ready to start seeing the good inside of you, if you have been stuck, if you have been lost, if you are ready to feel differently about yourself, I invite you to join me! Its an opportunity for you to start illuminating that extraordinary that already lies within you. Sign up today here and join me on this adventure!! We are just going to start with 3 prompts today to help you discover your story; we can do 3!!! *Choose a defining moment – just start with one – Why was it significant? What did it teach you about yourself? How did it change the course of your life? *What is something I am passionate about? – don’t think too hard about this one at first – got it? now… dig deeper: Why am I passionate about it? Why does it fill me? What need is it satisfying? *Sort through your truths – Which ones can you keep? Which ones don’t serve you anymore and aren’t who you are? Where do they come from? Why have you adopted them? Which ones have you adopted from others that are actually not truth, but lies? Join us and Purchase Tickets for the 14 Day booster course Project Wax On, Shine On here! Come here me speak at a marriage conference Project Eternity on writing our marital story one chapter at a time and overcoming resentment and finding joy and healing right now wherever we are on our marriage journey. Get your tickets here! Friends do you want to rise higher? Are you feeling stuck or lost or like you’ve hit a wall in the way you see yourself? Do you want to start seeing the good and feeling differently about yourself but you just don’t know where to start? Well think of me as the friend at the wall with my hands interlaced and open ready to give you a boost on over!! Project Wax On, Shine On is just what we need. A 14 Day Booster Course designed to ignite you on the path to illuminating the extraordinary that already lies within YOU! Yes YOU my friend!! With the moon as our inspiration, we will follow its waxing phases from new moon to full moon beginning from Friday September 22 and ending on Thursday October 5. We know the moon always exists in full but its only as it waxes that its surface becomes illuminated to us little by little until it reaches its fullness. This is a visual representation of my goal for this booster project, that a little more of the goodness that already exists inside of you will become illuminated to yourself more and more each day. You are enough. The extraordinary already exists within you, you just need to see it. Life’s experiences and challenges can create layers of darkness that cloud and warp the the way we see ourselves. My hope for you is that as you participate each day in the project, you will have a boost and a breakthrough and those layers will begin to peel off to reveal more and more of your own goodness. I can’t wait to help boost you over that wall!!! Grab your ticket and I’ll see you soon! !